We are divorce lawyers. With over 20 years of experience between us, our clients benefit from our knowledge, dedication and forward-thinking approach to family law. Adam’s goal for every case – no matter how complex – is to make the divorce process direct, efficient and easy to understand. For the past 13 years, he has represented parents, business owners and high-net-worth individuals in hundreds of divorce cases. He has navigated the most complex legal issues in divorce, including changes to final property judgments, allegations of fraud, and contentious multi-year custody litigation. He was the first lawyer to enter a limited-appearance in a divorce in the state of Nebraska. Adam's clients benefit from his passion for technology and innovation. He applies tools that save time, money and aggravation. He created the Nebraska Child Support Calculator, a piece of software used by more than 1,000 Nebraska lawyers and judges. In the courtroom, he manages thousands of pages of exhibits from his MacBook, while many opponents lug boxes of documents. Adam frequently speaks on legal technology and family law. 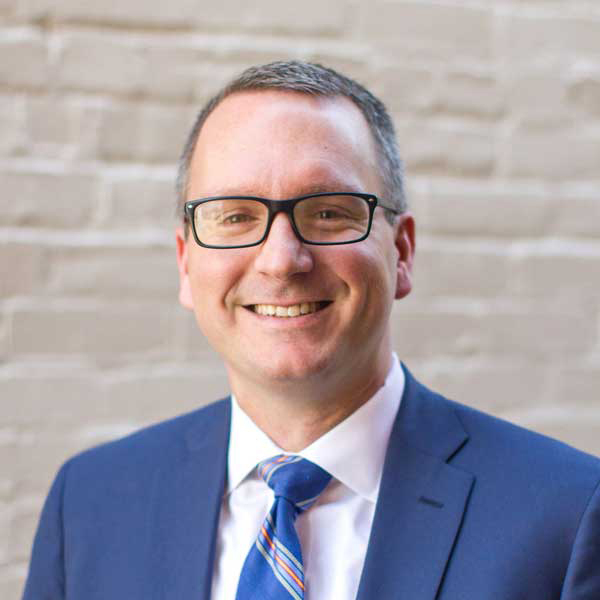 He provides annual training for the Nebraska State Bar Association on new case law and trends, and he has testified on family law issues before the Nebraska Legislature. He earned an “AV” rating in Martindale-Hubbell peer rankings and is among the Top Rated Family Law “Super Lawyers” in Nebraska. Kate represents clients in divorces that are complex legally, financially and emotionally. She constructs thoughtful parenting plans that are respectful and fair, and are uniquely tailored to the specific needs of each family. She routinely helps business owners and high-net-worth individuals protect their assets and avoid unintended financial consequences in the future. Kate has handled hundreds of divorces, and she takes pride in applying a custom approach to every case, taking into consideration each client’s individual goals and needs. Through years of mediation training and dispute resolution Kate has developed a deep knowledge of conflict – how to avoid it, and, when necessary, how to confront it. In her practice she strives to address the emotional stresses of divorce along with the legal proceedings. She works to understand her clients’ goals and expectations to develop solutions that are productive, healthy and just. 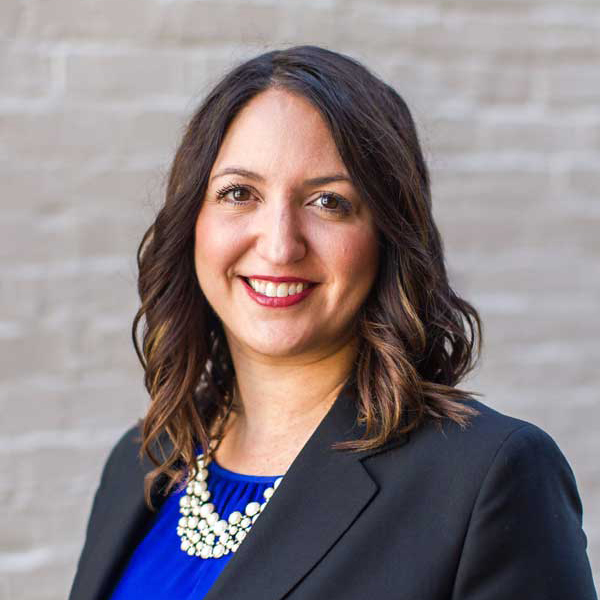 Kate serves as vice chair of the Nebraska State Bar Association’s Family Law Section. She plans Continuing Legal Education events for lawyers throughout the state. This provides her an ongoing look at the latest frontiers in family law, both in Nebraska and across the nation. Your divorce attorney will be your guide through an emotional and stressful transition. We want to make divorce more accessible. We will use real language, not legal jargon. We will manage your expectations, not just tell you what we think you want to hear. We will provide you with timely updates on your case. We will be efficient, thoughtful and purposeful in our representation at all stages of the dissolution process. We will customize our work on your case. We recognize every divorce is different. We do not apply a one-size-fits-all philosophy, and we will consider your specific circumstances, providing a custom strategy that is right for you. Where possible, we will think “outside the box” to ensure the best chance of a positive outcome for you and your family. We will act diplomatically until we can’t. We will make a significant and purposeful effort to avoid unnecessary litigation. We will make reasonable accommodations, act with professional decorum, and look for collaborative solutions. If those efforts fail, we will be prepared to fight for your interests in Court. We will work with integrity. We will not bend the rules for any client, ever. We will abide by the Nebraska Rules of Professional Conduct. We will not enable unethical behavior from our clients. We will do our best to reduce acrimony both with your spouse and with opposing counsel. We do not fight for the sake of fighting. We will put your best interest first. We will advise you to settle your case only when we think the settlement is in your best interest. We are not afraid of a fight if we believe, after consulting with you, that the potential for a positive outcome is worth the risk and the cost. We will be honest with you about our feelings on these subjects so that you can make the best possible decision. We do not work with clients who are not truthful, forthcoming or seek to undermine their spouse’s relationship with their children. Divorce requires resources and thoughtful attention. On the financial side, hasty moves now could result in significant consequences down the road. For parents, you may be subject to a custody plan for 15 years; it is worth it to get it right the first time. Consider your goals, consider the alternatives, and determine what matters most to you. Be organized and ready to assist. Review our Divorce Document Checklist; have these items organized and ready in PDF or printed format. This will save you considerable time and money and allow us to focus on advancing your case. You have hired us because we provide knowledge, expertise and experience. This is probably your first divorce, it is not ours. While ultimately decisions about your case are up to you, have an open mind and give due consideration to the advice given to you throughout your case. Divorce can be scary, we are here to answer your questions throughout the process. Can I file my divorce in Nebraska? To file a divorce in Nebraska, you must be a resident of the State of Nebraska for one (1) year prior to filing your divorce. If you have not been a residence for one (1) year, you can file for a Legal Separation and convert it to a divorce action once the 1-year requirement has been fulfilled. In either case, your children must have lived here for six (6) months for a Nebraska judge to make an order determining their custody. What are the first steps in the legal process? The first step is to find a lawyer you trust. Divorce is stressful, and you need to find a professional who can answer your questions and walk you through the process. The divorce proceedings start when one spouse files a Complaint for Dissolution and the other spouse is served with that Complaint by the Sheriff’s Department. Is there a waiting period once the Decree is filed? In Nebraska, your divorce Decree is final 30 days after it is filed with the Court.. Neither spouse can re-marry for 6 months, and you may be required to provide health insurance to your former spouse for 6 months. We can’t predict how long your case will take. The average contested case (i.e. no agreements for custody or division of assets) takes 18-24 months. Some cases take longer. If your case is less complex, or if you and your spouse can agree on custody and/or the division of your marital estate, 12 months is a reasonable estimate. Yes. If you and your spouse reach an agreement on all issues, the Court can enter your Decree of Dissolution without either of you appearing in Court. We try to resolve all of our cases this way when possible. How do I know if I have to pay maintenance or alimony? Alimony is addressed by the Court on a case-by-case basis. There are no state-wide guidelines to determine whether or not alimony will be paid, or what the duration may be. We will discuss how alimony laws may apply to the particulars of your case during your initial consultation. That depends on a lot of things. We can control how we approach your case, but we cannot always control the behavior of your spouse or their counsel. You can keep your fees as low as possible by being organized, responsive, and reasonable. We can help by using technology and our efficient practices to maximize the value we deliver for the work we perform. Clients who are organized, engaged and thorough in their preparation of financial documents generally find that their legal fees are significantly lower than their counterparts who rely on their attorneys to chase down and organize their records. What documents do I need to compile? Before your initial consultation, review the Divorce Document Checklist and gather as many documents as you can. Gathering documents can be an enormous undertaking, but it is far easier to do before you file than after you file. Starting this process early will prevent undue stress and expense down the road. What’s the best way to organize my documents? If you are able, the best way to organize your documents is in PDF form. Each file should be clearly labeled so the document is readily identifiable without opening the document itself. If you are not able to format your documents into a PDF, printed copies are fine as well. They should be legible and easy to read, organized by document type and by date. Remove all staples or binding clips so they can be scanned, and do not put notes or stickies on the documents. There is 2-hour metered parking in front of the building. Please note your space number and we will pay for your parking. ©2019 Astley Putnam, P.C., L.L.O. We hope you have found this site to be informative and useful. But please be aware that: (1) the information on this site is general, and is not a substitute for personalized legal advice, (2) you do not create an attorney-client relationship with us by visiting this site or contacting us via this site; and (3) we are not required to treat unsolicited information sent to us via this site, or via any other means, as confidential.